Here is a recap of the past two days, since I was too busy to blog! King Squirt was greeted by the usual faceless voice (is it supposed to be Tortimer bellowing the announcements? Is there a P.A. system set up in Shaolin? I don’t know.) and some festive music in honor of the Harvest Festival. The objective for this holiday, if you couldn’t figure it out, is to save Franklin, the Turkey. 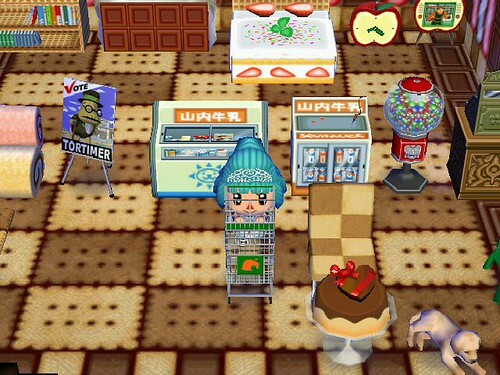 Tortimer hangs out at the Town Hall giving out forks and knives. If you bring the silverware to Franklin, he gives you a piece of the Harvest Series. 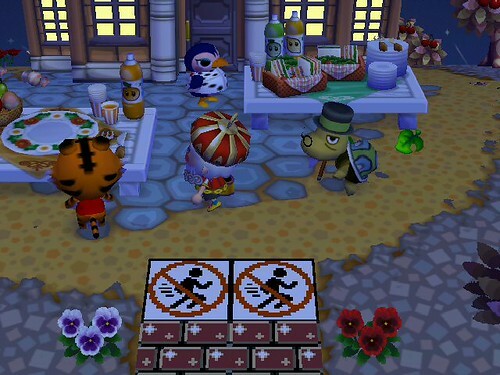 I guess AC:CF is trying to promote vegetarianism? 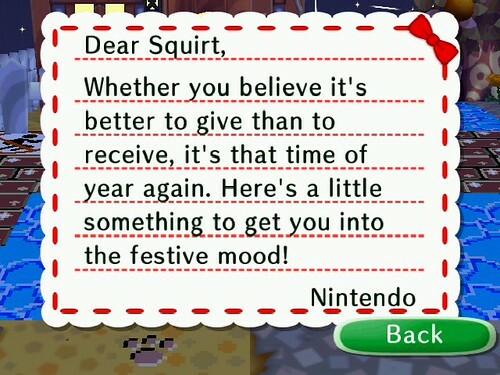 Franklin deals with a lot of anxiety during this holiday. 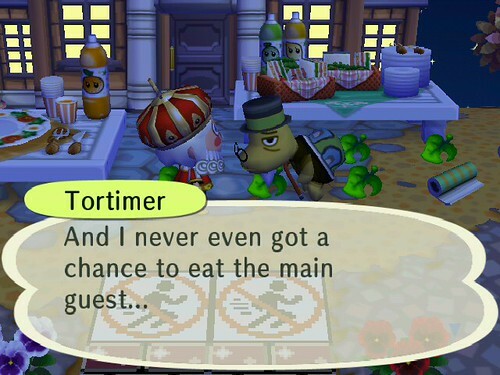 Can’t say I blame him, since he was invited as the ‘guest of honor’ but Tortimer only intends to roast him! 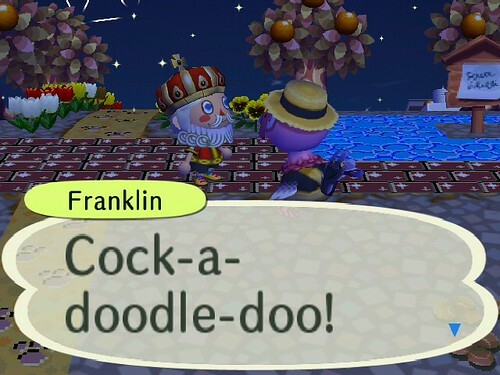 Franklin wants to be a Rooster today. Thanks to my help, Franklin was able to escape. 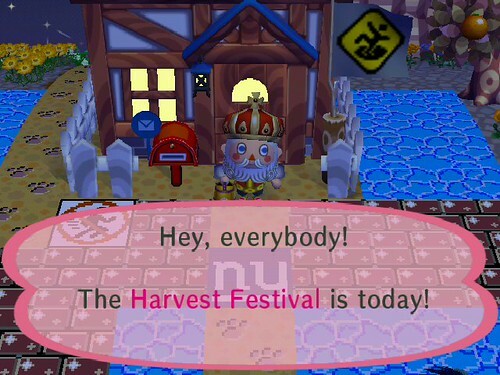 Mostly because I didn’t realize that the Harvest Festival only lasts until 9PM. 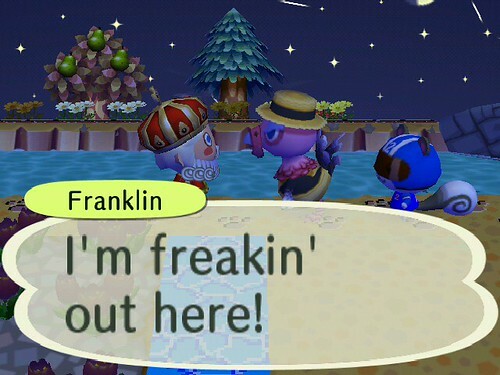 After that, Franklin found his way straight out of the gate and was gone. And the poor townies had to go to bed hungry. Please let me know if you’d like me to send you the new US DLC! What Vella described is right about Black Friday. Most of stores open from 5am here. We left home around 8:20am, and bought what we want. They are not super hot stuff though.